Dr Sutherland uses NSA and SRI to assist people to achieve greater health and quality of life. She also promotes health through 100% NATURAL home and body care products and leads hikes and workshops on various health topics. Dr Sue is from Stoney Creek, Ontario. She completed her Chiropractic degree and Bachelor of Sciences in Melbourne Australia. During her studies she had the opportunity to travel to many countries, including completing a 3-week intern program in the Philippines. 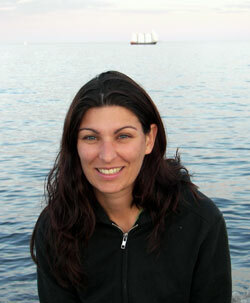 Following her studies Dr Sue practiced in Melbourne before returning to Canada to be closer to her family. Since her homecoming, Dr Sue has been spending many weekends enjoying the great outdoors; hiking and camping in Ontario’s fantastic wilderness. She Enjoys painting, pottery and developing natural Skin potions. Dr. Sue has been studying Network Spinal Analysis since 1996, and is passionately assisting many people, along their path to greater health by providing care that will help them to grow physically, emotionally and spiritually. With Network Chiropractic Care she envisions people making healthier decisions, achieving a greater quality of life and ultimately a healthier, more loving planet.